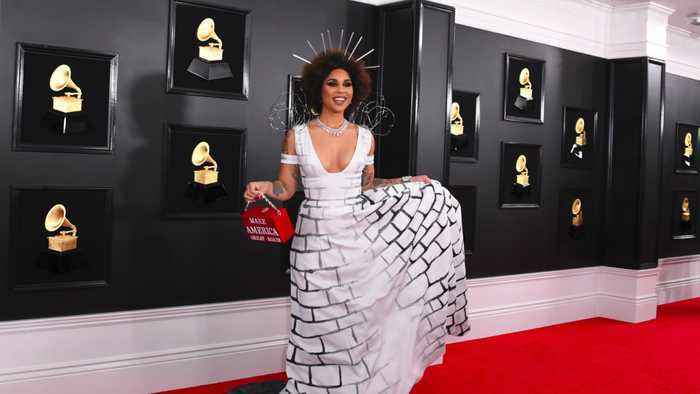 The dress was designed by Desi Lee Allinger-Nelson and was inspired by Pink Floyd’s 1979 album The Wall. Villa has become known for getting political at the Grammys. In 2018, she wore a white gown with fetus-in-utero painted on it to highlight her pro-life views. In 2017, she wore a blue "Make America Great Again" dress designed by Filipino immigrant Andre Soriano.